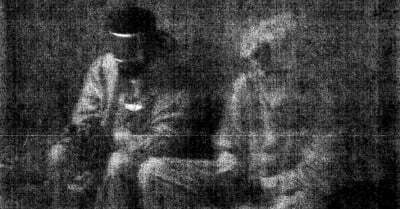 Image: Photo relating to prisoner abuse released by DoD on February 5, 2015 in long-running ACLU lawsuit. The record-dump was the result of a Freedom of Information Act request and nearly 12 years of litigation by the American Civil Liberties Union (ACLU), which fought to expose the Bush-era torture. The images, the group says, prove that there was “systemic abuse of detainees.” And while troubling, attorneys say that even more problematic is the roughly 1,800 photographs that the government refused to disclose. “The disclosure of these photos is long overdue, but more important than the disclosure is the fact that hundreds of photographs are still being withheld,” said ACLU deputy legal director Jameel Jaffer, one of the attorneys in the case. Eliza Relman, a paralegal with the ACLU’s National Security Project, said that documents and emails that the government has been forced to release over the course of the litigation give an idea of what the remaining images may contain. “We have found more than 100 documents that either reference photos related to cases of abuse or actually contain photos that were redacted before they got to us,” Relman said. The Department of Defense argues that the release of the remaining images would jeopardize national security and “may incite others to violence against Americans and US interests,” the ACLU explains. “What the photos that the government has suppressed would show is that abuse was so widespread that it could only have resulted from policy or a climate calculated to foster abuse,” said ACLU staff attorney Alex Abdo, who noted that no senior official has been held accountable “or even investigated” for these abuses. “That is why the government must release all of the photos and why today’s selective disclosure is so troubling,” Abdo added. The ACLU first filed its request six months before the notorious Abu Ghraib images wereleaked by the press in March 2006. In 2009, then-defense secretary Robert Gates issued a blanket certification preventing hundreds of photographs from being made public. An identical certification was issued in 2012 by Gates’ successor, Leon Panetta. In March 2015, a U.S. district court judged ruled in favor of the ACLU, which argued that the certifications are “unsupported and overbroad.” Defense Secreatry Ashton Carter certified the photographs again last November, with the exception of the 198 now made public.